Sebastian began playing the violin at age seven while living in San Francisco. He pursued an early passion for the instrument at the Crowden School in Berkeley, California, where he focused on chamber music performance and studied violin with the school’s Director, Doris Fukawa. As a Presidential Honors student at New York University, Sebastian completed a Bachelor of Arts degree in Music Theory and Composition and graduated with honors in 2011. While at NYU, he served as captain for the cross country and track teams and was awarded a Cross Country All-American in the fall of his junior year. 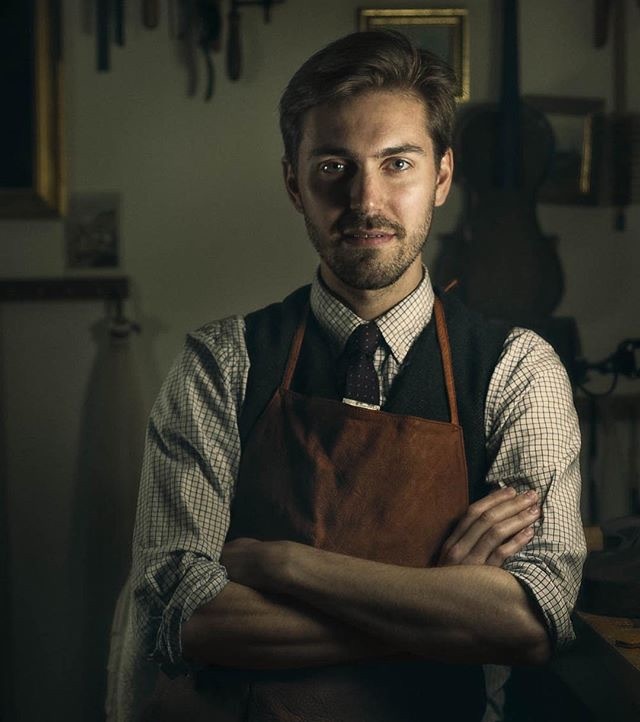 After graduation, Sebastian spent a few years in a cubicle before remembering his love for the violin – he began a four year apprenticeship under Connecticut luthier, Constantin Popescu, concluding in January of 2018. After more than a decade of New York City living, he and his wife Brianna moved to Raleigh in February 2018 so he could join us at Triangle Strings. When he does get away from the workshop Sebastian enjoys running, camping and skiing.